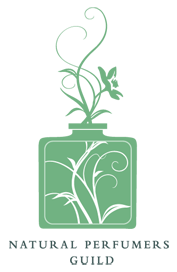 - The casual student who enjoys blending natural aromatics as part of a hobby, for fun, to create fragrant gifts for family and friends. - The serious student who wants to follow a professional path so that they may one day be able to offer their perfumes for sale to the public. The Guild has standards for teaching at both levels. A basic course for hobbyists has a standard syllabus of study including recommended essences, course of study and classroom atmosphere and learning process. This is so that students may be certain they are obtaining the most professional and comprehensive information available. Students progressing on for further studies commit to at least three to five years of study, as is the requirement of traditional perfumery as taught in France, Italy, India and the Middle East. The Guild recognizes there are no shortcuts, and that the learning process involves dedication, investment and determination, in addition to innate talent. The Guild recognizes that the contract that is entered upon by the teacher and student is a private business matter between them and will not be a party to its agreement, evaluation or negotiation. Anya wrote the first American textbook for her course. It is 350 pages, fully illustrated and accompanied by modern recording forms, charts, and much more. 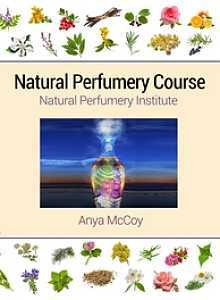 Click to visit the Natural Perfumery Institute.